This entry was posted in General Conference Calls and tagged Andys Live Show, Audio, Burlington, NAA, National Agents Alliance, The Alliance, The Live Show, The Wednesday Call Live, TWC, War Parties. Bookmark the permalink. The Wednesday Call Live (TWC) for March 13, 2013: Live from the Burlington War Party! This file is an audio recording of Andy's Live Show. If you would like to access the video version, check out the NAAtv Live Archives! The Live Show will air again on March 20, 2013 at 12:30 PM ET. The Wednesday Call Live (TWC) for October 8, 2014: Alex Fitzgerald is coming at you live from National Agents Alliance Headquarters in Burlington, NC! Training, team building, and surprise visits from top agency managers are all common themes for Andy's live show. Tune in to get all of today's great info! The Live Show will air again on October 15, 2014 at 12:30 PM ET. The Wednesday Call Live (TWC) for September 11, 2013: This file is an audio recording of Andy's Live Show. If you would like to access the video version, check out the NAAtv Live Archives! The Live Show will air again on September 18, 2013 at 12:30 PM ET. 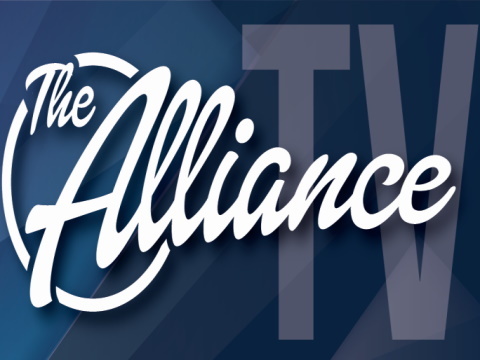 The Wednesday Call Live (TWC) for May 22, 2013: Andy Albright hosts a live conference call and meeting from National Agents Alliance Headquarters in Burlington, NC! Andy's live show covers all kinds of great topics, including training, information on team building, new developments that are in the works, and frank discussions with your fellow agents (beginner and top level managers alike!). If that wasn't enough, the live show also provides motivation and encouragement that will help get you fired up and ready to roll! Today's very special Wednesday Call is coming at you from the Burlington, NC War Party at The Alliance HQ! The Live Show will air again on May 29, 2013 at 12:30 PM ET. The Wednesday Call Live (TWC) for May 22, 2013: This file is an audio recording of Andy's Live Show. If you would like to access the video version, check out the NAAtv Live Archives! Today's show is broadcasting from the Burlington, NC War Party and The Alliance HQ! The Wednesday Call Live (TWC) for March 13, 2013: Andy Albright hosts a live conference call and meeting from National Agents Alliance Headquarters in Burlington, NC! Andy's live show covers all kinds of great topics, including training, information on team building, new developments that are in the works, and frank discussions with your fellow agents (beginner and top level managers alike!). If that wasn't enough, the live show also provides motivation and encouragement that will help get you fired up and ready to roll! Today's Wednesday Call is from the Burlington War Party! Don't miss it!